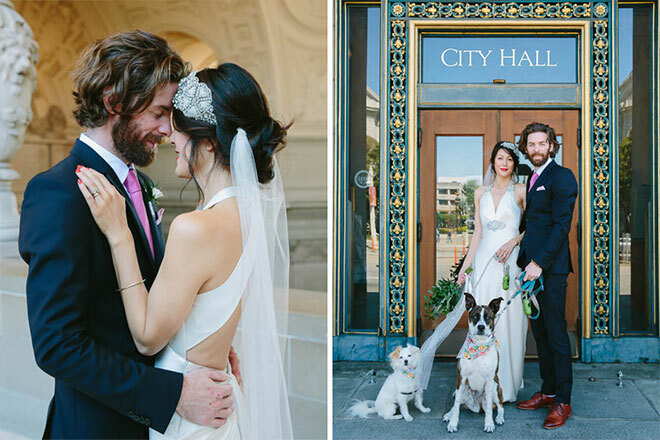 I wanted to share a few San Francisco City Hall wedding photos. 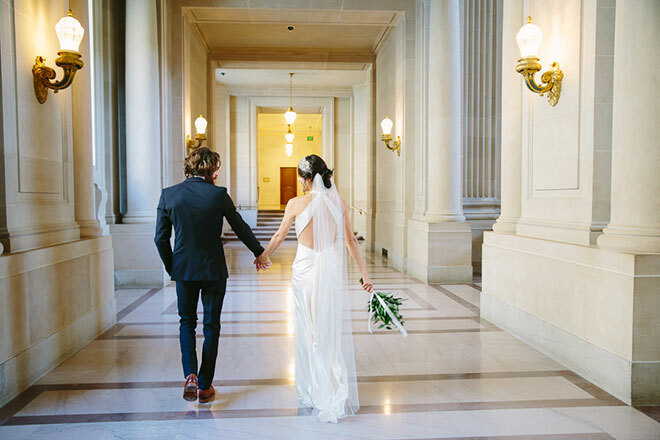 Jeannie and Josh had a super fun San Francisco City Hall wedding. 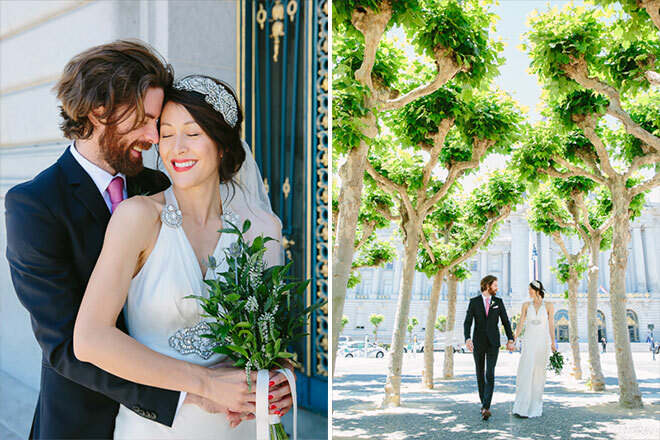 Their family traveled from all over the world to join them on their special day. Photos with their dogs were important, so we started out with Norma Jean and Edie joining in. The doggies were naturals! When working with dogs, it’s invaluable to have some assistance to get the dogs attention. Having a helper works great, but the best is having some treats on hand. 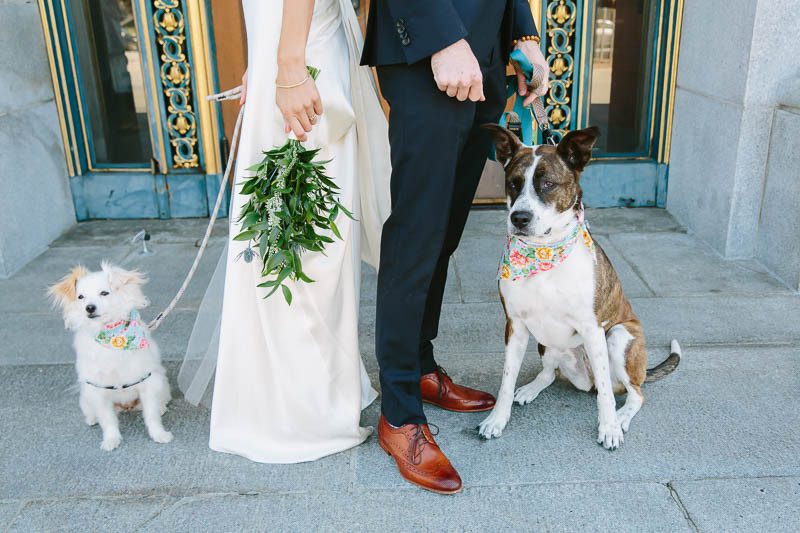 The dogs were the best bridesmaids ever. 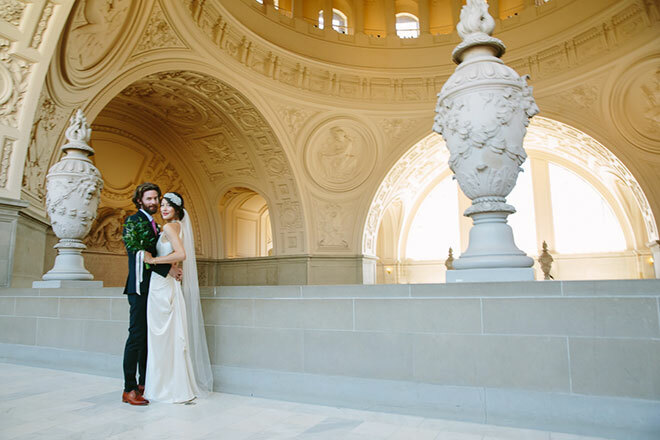 Jeannie and Josh were married in the beautiful Rotunda. There is a beautiful skylight that lights up the area. The ceremony was concise but beautifully meaningful and surprisingly emotional.The San Francisco City Hall marriage commissioners are all volunteers. 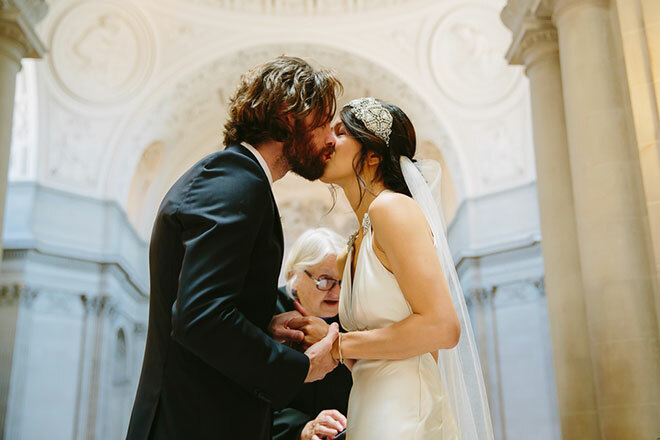 They do a wonderful job with the ceremonies and take them all very seriously and treat everyone with such respect and love. 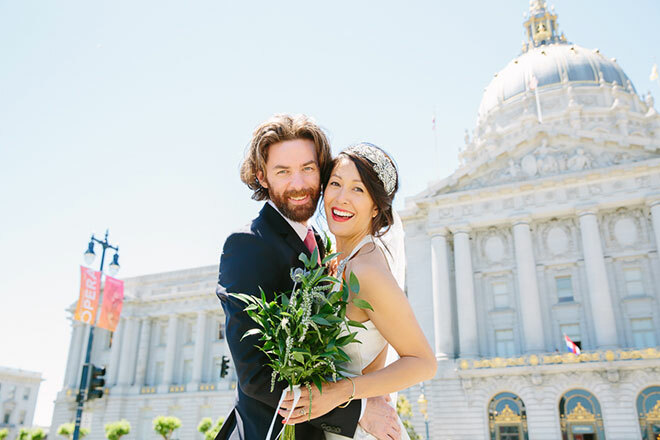 Jeannie and Josh traveled to SF from LA for their super fun intimate wedding. 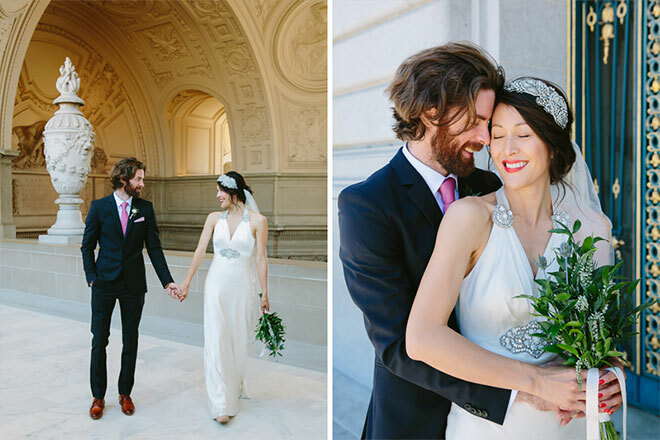 They both have a wonderful, easy going energy and they were absolutely amazing to photograph. Jeannie wore a vintage glam dress with lovely rhinestone elements. The dress reminded me of Old Hollywood. Her headband matched her dress perfectly. 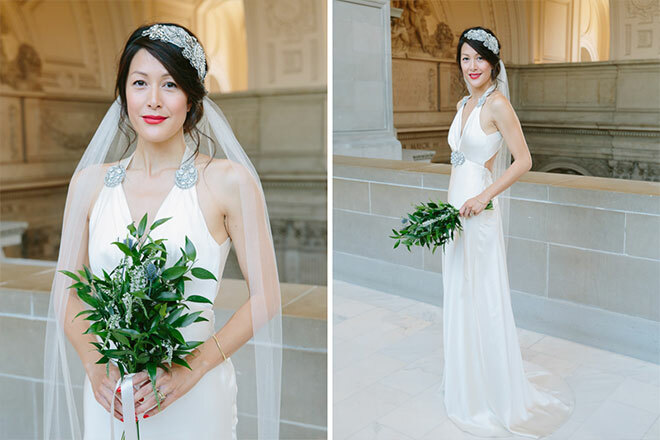 Jeannie’s bridal bouquet was a mix of greenery with small white flowers. 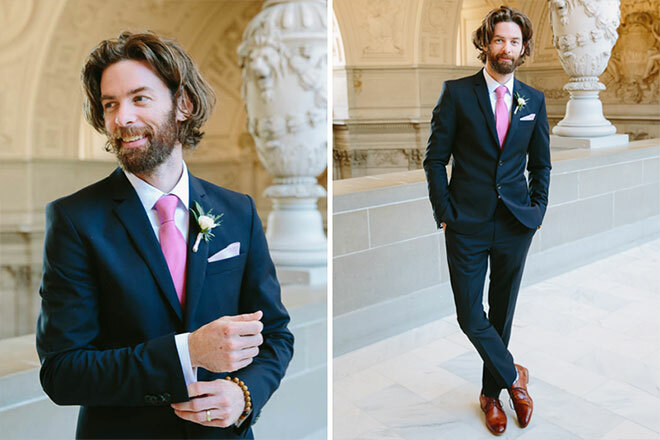 Josh wore an amazing slim fit three piece suit. 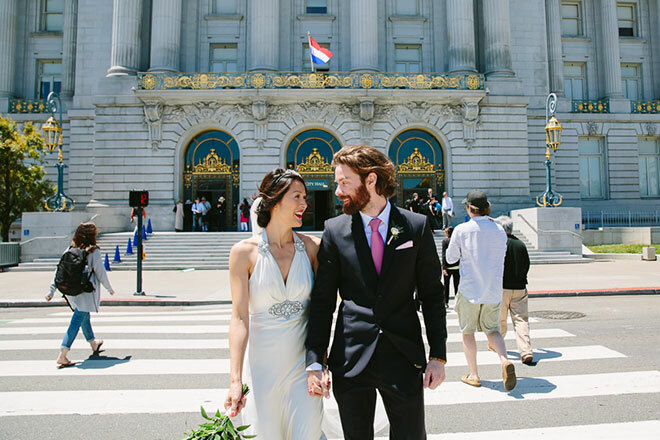 Congrats to Jeannie and Josh! 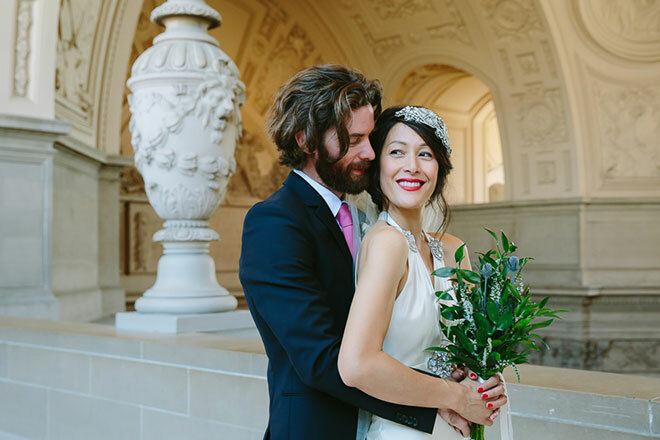 Check out more of my San Francisco City Hall wedding photos, or to get in touch for availability.